When we are young, our skin is continually supported and replenished with a number of chemical compounds. With age, the diminishing supply of substances like hyaluronic acid and collagen lead to noticeable signs of aging. Facial aging, in particular, can be an unwelcome evolution. At Fix Laser and Skin Center, we provide the treatments you need to look and feel your best, including Juvéderm. The face is constantly changing, and a result that might look fantastic today will need tinkering with tomorrow. Our goal is to look the best we can and to enhance our appearance with what we have available in the marketplace. As we age we lose 1% of our dermal collagen per year, as well as hyaluronans – especially after the age of 50. Fillers are curative and often referred to as preventative since studies show that starting to use certain fillers early has a synergistic effect in stimulating ones own collagen production. Continued maintenance is crucial, whether in a professional medical office and/or home with a solid skin care routine. We must understand that dermal fillers are not a substitute for a face lift to correct deep wrinkle and sagging skin. JUVEDERMÒ Ultra XC injectable gel is indicated for injection into the mid to deep dermis for correction of moderate to severe facial wrinkles and folds (such as nasolabial folds). Juvéderm is a family of filler products from Allergan. Using non-animal based sources of hyaluronic acid, this injectable requires no testing prior to treatment, and is very kind to the skin. What Juvéderm is known for is its unique formulation of gel particles that can be comfortably inserted beneath the skin for a beautiful, lasting lift. The biochemical changes that occur as we age have a direct affect on the skin. As supportive substances like hyaluronic acid decrease in the body, the tissues that lie just beneath the skin weaken. In fact, as much as a teaspoon of fluid and tissue is lost each year after about the age of 35. In time, the loss of volume translates into fine lines and wrinkles around the eyes, creases around the nose and mouth, and flattened cheekbones. In combination, these effects of the constant aging process can cause dissatisfaction and a lack of confidence. Juvéderm is a product that has been shown immensely beneficial in the prevention and reversal of lines and wrinkles. When precise amounts of hyaluronic acid particles are injected beneath a crease, the substance attracts water molecules to the area, plumping and lifting the crease to the surface. Historically, dermal fillers have been referred to as wrinkle-reducers. 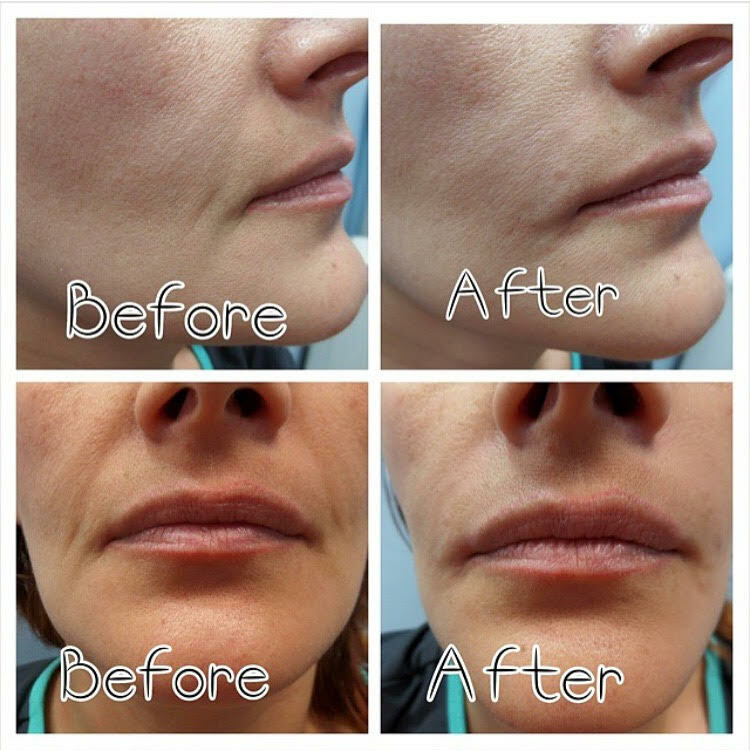 Using Juvéderm, however, we can also add beautiful volume and definition to the lips and to the cheekbones. The viscosity of the gel particles makes Juvéderm a wonderful product to lift and enhance these areas. One of the wonderful aspects of injectables is that treatment can be obtained on your lunch hour. During your consultation at Fix Laser & Skin Center for facial rejuvenation, we listen to your concerns and expectations. It is in this step where we can identify the right treatment for you. In some cases, Juvéderm is recommended as an adjunct to other injectables, such as Botox. An evaluation of your skin is performed, and we discuss where injections would be beneficial. 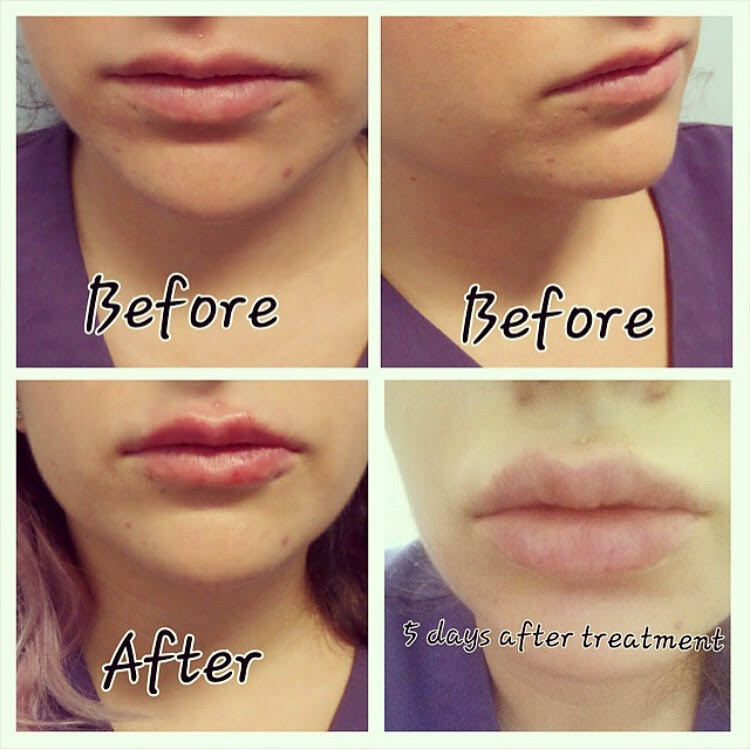 Dermal filler treatment takes only a few minutes. The inclusion of lidocaine in the Juvéderm formula creates a comfortable process of wrinkle-reduction. Side effects are typically limited to slight redness and swelling at injection sites. This fades within a few hours. The body naturally metabolizes Juvéderm hyaluronic acid over time. Every person is different, but most enjoy beautifully refreshed skin for six months or longer. The formulation process and concentration of active ingredients makes this possible. Aging does not have to dramatically change your appearance, nor your confidence. The team at Fix Laser & Skin Center offers expert care that lets your outer appearance reflect your inner vibrancy. Learn more about Juvéderm today by visiting us in Glendale, CA or calling (818) 248-9575. Visit Fix Laser & Skin Center’s blog to learn more about JUVÉDERM® and our other services.